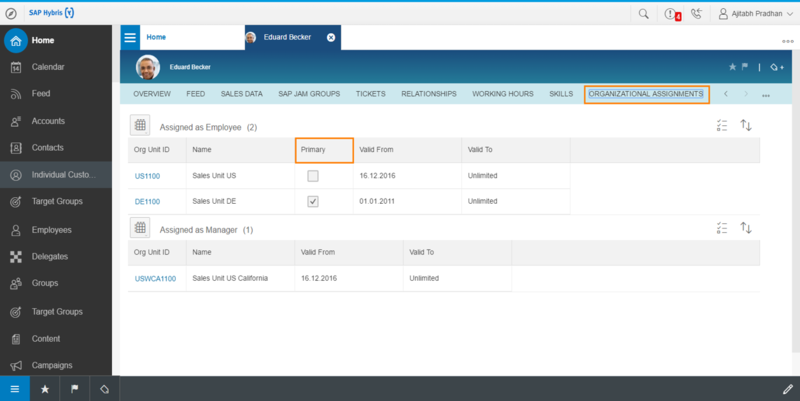 In 1702 we have enhanced the employees details view to list all org assignment for an employee. We have introduced a new facet called ‘Organizational Assignments’ in the employees TI which list all the Employee and Manager assignment for an employee. For multiple employee assignment we also highlight the primary assignment. In 1702 We have enhanced the data Source BP_EMPLOYEE_DETAILS to include sales area and org assignments along with Employee Assignment Role. In 1702 we have enhanced the dynamic navigation from customer MDAV to the correct details view for an account/individual customer . Use Case :- As a system administrator , I would like to know how many business users in the system are counted/active users . Additionally I would also like to map the business users to a valid user subscription type so that I can track which users are intended to consume which user subscription license. 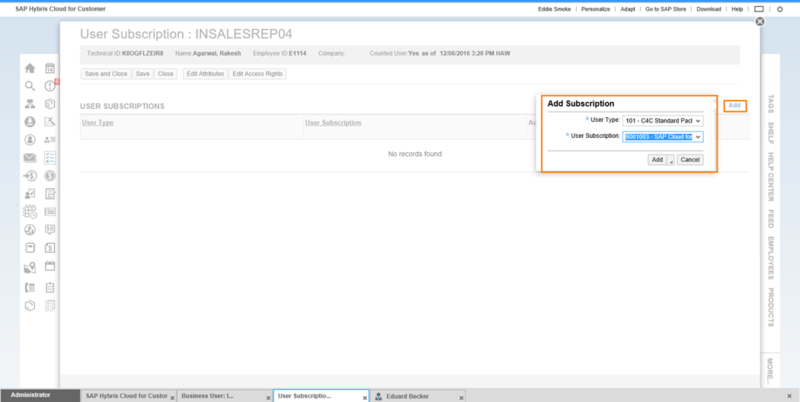 We have now introduced a new action called ‘User Subscriptions’ in the business user details view . 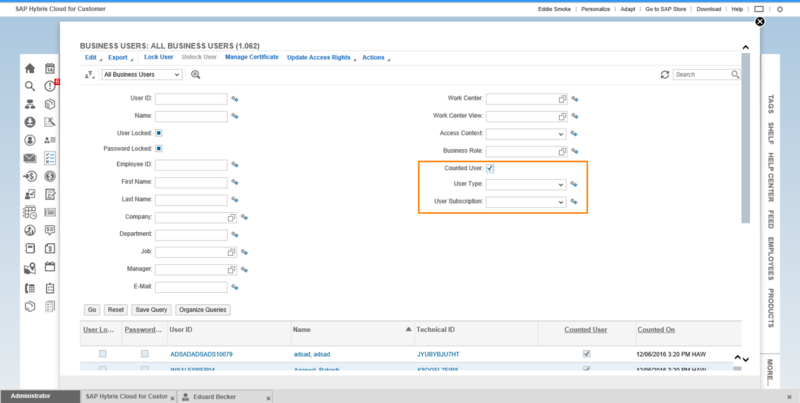 In the new ‘User Subscriptions’ view a system administration can assign user type and user subscription to a business user . We have also introduced a new attribute called ‘Counted user’ on the business user overview facet. In summary a business user which is valid (considering validity dates) and is unlocked ( overall lock indicator and not password locked) is considered as a counted user. Counted user is a derived attribute and cannot be edited on the UI. A system administrator can search for all counted users who are assigned to a user type and user subscription type. We have a few attributes on the account / contact / individual customer / partner / partner contact / employees details view which are only visible in edit mode. These attributes are not visible as separate attributes on details views in read only mode. With 1702 , Key user tool has been enhanced to also provide an option to change the visibility property of these select few attributes . Key user can change the property from editable mode to ‘visible in Read and Edit Mode’ . Once the property is changed these edit only fields will also be available in the read only mode. 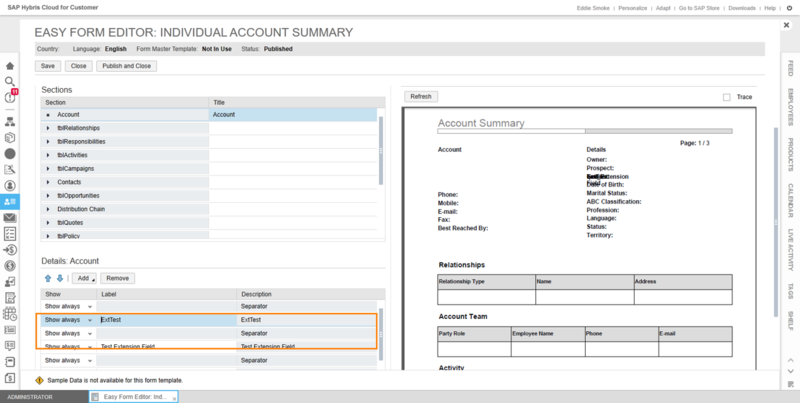 Prior to 1702 release it was not possible to add extension fields to individual customer header to form template/summary . 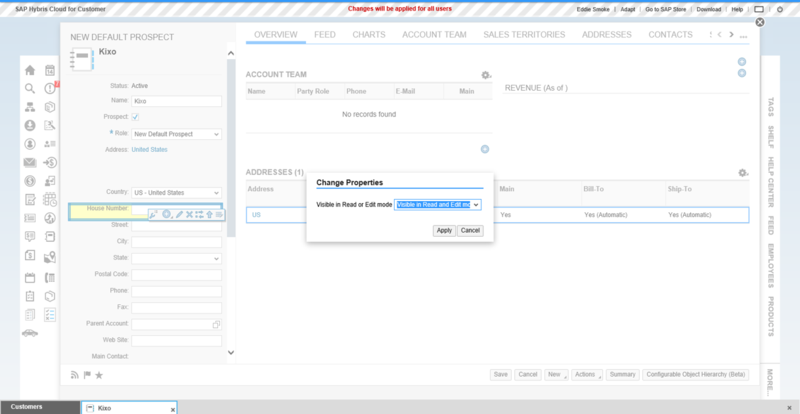 With 1702 it is now possible to add individual customer header extension fields to form templates. In 1702 we have enabled another internal number range for edit. Delete ‘Not Started’ Merge instances :- A master data administrator can delete merge instances which are in ‘Not Started’ status . 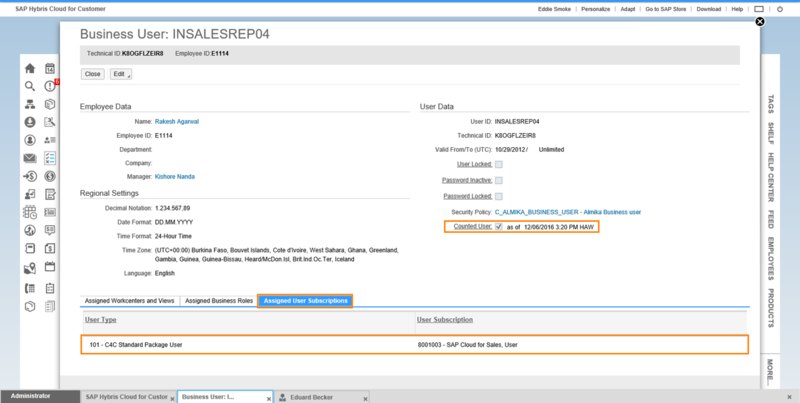 Account Merge –Registered Product Re-parenting : With 1702 release registered product reassignment during account merge has been implemented. Is there a way to do a mass update on existing users and their User Type/User Subscription? With almost 1000 current users, this would be a lengthy task to manually update each one. 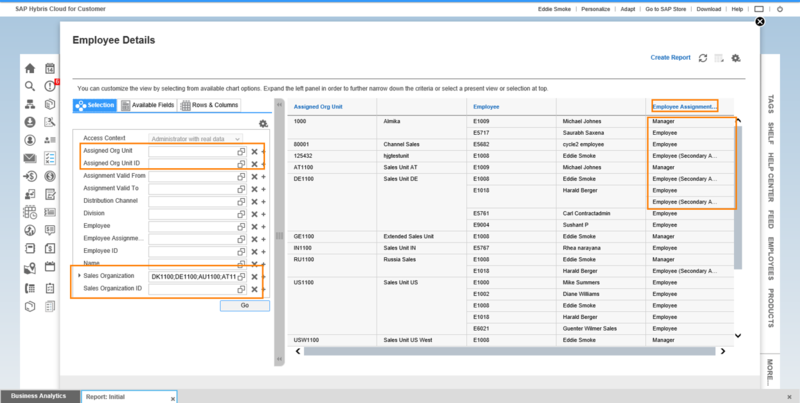 Does the Employee Multiple Organization Assignment work for Individual Customer with Employee role only? I tried to assign an Employee to more than one Organizational Unit and the system rase a blocking error message. Did I miss something or is this the expected behaviour? If this is the expected behaviour, when Employee Multiple Organization Assignment will be available for the employees too? Forget my stupid question, I found the flag primary in the Organizational model set-up.